The RichMade Zombie Killer is a beast of a knife built to withstand apocalyptic level conditions. 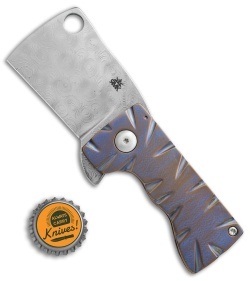 This little monster offers a cleaver blade made from Alabama Damascus with a flipper opener. 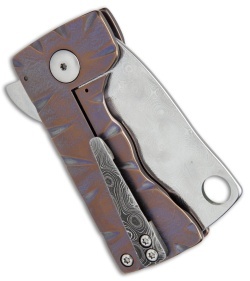 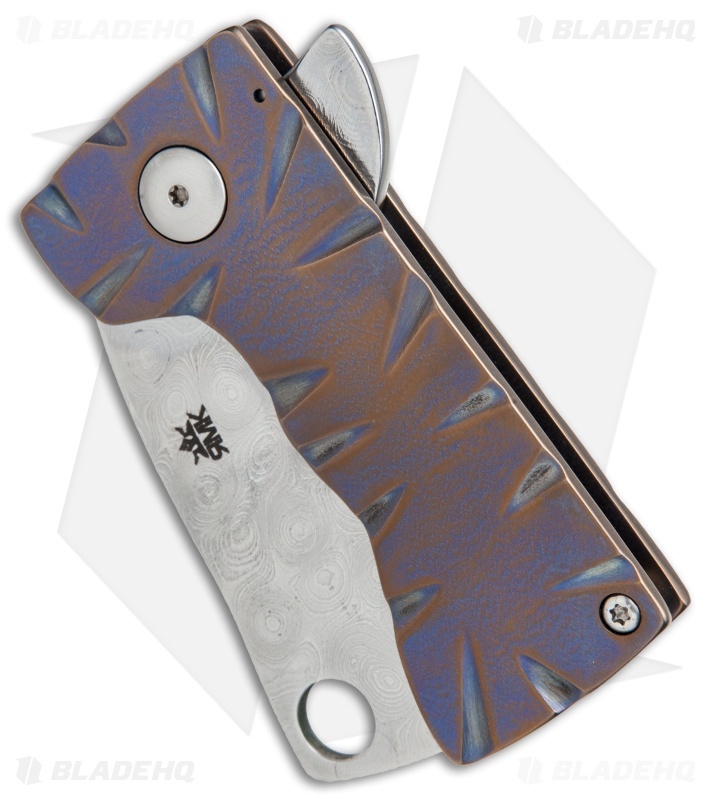 The titanium frame lock handle has a light purple anodized finish with a Damascus pocket clip. 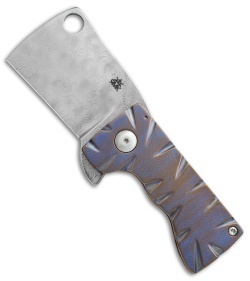 Hand carved grooves in the handle and blade add a truly unique touch to the knife.